For the best in craftsmanship, design, and service, Mardi's Jewelry Design has been Laguna Hills' choice of jeweler for over 15 Years. Mardi's is known for unique jewelry and diamond selection, custom jewelry design, on-site repair services, watch maintenance and repair, as well as competitive cash rates for gold. We carry an array of designer jewelry: pendants, necklaces, bracelets, rings, and earrings. With over 40 years of experience, you can rely on our staff to assist with with every facet of the design process. Use our Computer-Assisted Design (CAD) system to see your dream pieces come to life, and make edits along the way. Give family heirlooms new life by updating old stones, or incorporating existing designs into a new, custom piece of art. Mardi's carries a wide array of pendants, necklaces, bracelets, rings and earrings. We also carry a wide selection of quality estate pieces, all inspected by our certified on-site GIA diamond gemologist. 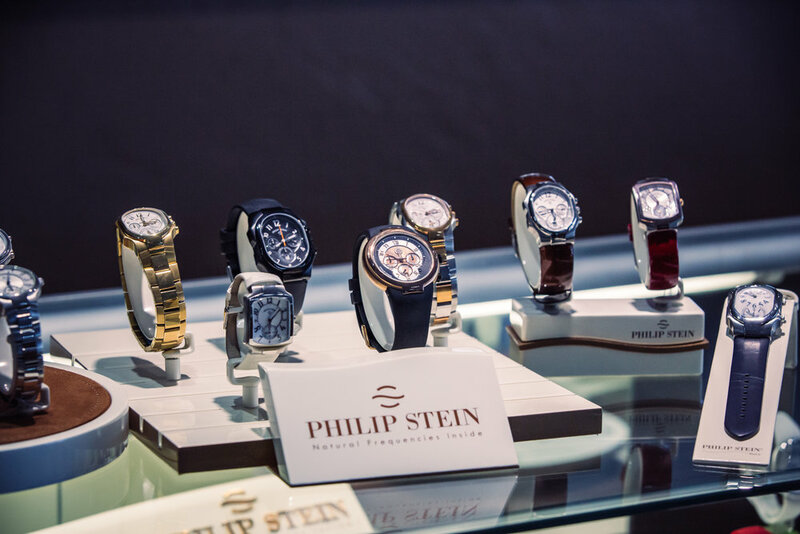 We are also an official Philip Stein retailer and repair center. As a licensed Philip Stein retailer and repair center, you can depend on us to provide you with elegant and refined time pieces, and to keep them in the best condition. Custom and retail jewelry of the finest variety. Whether you are looking for an elegant look, or a precious gift for someone, we have a wonderful collection of pendants, necklaces, bracelets, rings and earrings. A wide selection of antique jewelry with timeless beauty. All inspected by our certified on-site GIA diamond gemologist. If you want a classic look, then look no further. Whether you're upgrading gems from your collection or investing in an engagement or anniversary present, we look forward to bringing a sparkle to your life events.